As I am sure most of you are already aware, the 2019 Federal Budget Request has been released by the Executive Branch of the government, and it, once again, calls for the elimination of the National Endowment for the Humanities, among other major cuts to public programs. It also calls for the elimination of the National Endowments for the Arts, the Department of Education’s International Education Programs, the National Historical Publications and Records Commission, and the Institute for Museums and Library Services. This is a time when we ask our members to join us in any level of involvement they can. At most, I would encourage any of you who can to please participate in the National Humanities Alliance’s (NHA) 2-day meeting, March 11th and 12th in Washington, DC. The 12th will be dedicated to advocacy on the Hill for humanities education and opportunities. 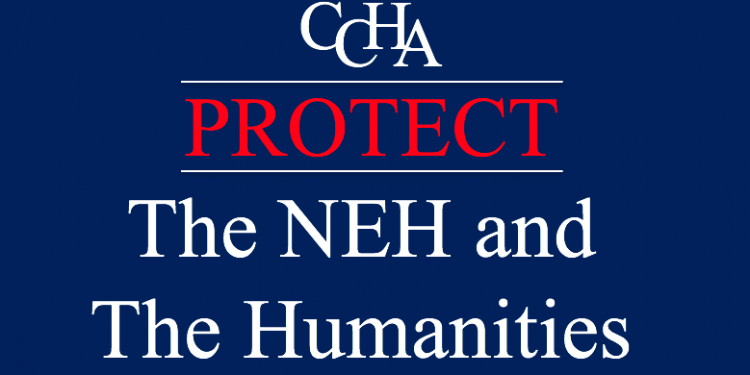 At the very least, I would ask you to go to the following link provided by NHA to let your elected members of Congress know that you value programs like the NEH and that you want them to be preserved. You can also have your voice be heard to save other humanities programs at this link. Please let Congress hear the strength of our combined voices. After all, the Executive Branch can only make a budget request; it is these very elected officials who will make the actual budget. Please join us and #SavetheNEH once again.